The air quality of your home is vulnerable to a variety of common air pollutants, some being much more harmful to your health than others. Radon, for example, is a dangerous indoor air pollutant that originates in soil and rock, typically entering the home through the building’s foundation. But there are many other invisible indoor air pollutants that can cause serious health problems as well. That’s why many homeowners decide to test their indoor air quality using the innovative AirAdvice for Homes™ system, now available from Clean Air Act, Inc. Carbon monoxide (C0). A poisonous gas released by any combustion appliance (including wood and gas-burning fireplaces). CO is invisible and odorless, making it extremely dangerous. Dust mite debris. Feces and detritus from dust mites can cause respiratory ailments. Animal dander. Tiny particles of hair, feathers & skin. Fungi. Microscopic airborne spores from mold and mildew colonies. Mold smells bad and can cause a wide range of allergic reactions and respiratory ailments. Volatile organic compounds (VOCs). Formaldehyde, acetone, benzene, methylene chloride and other compounds used in a wide range of products (cleaners, carpeting, finishes, furniture, etc.) All are irritants; some are carcinogenic. The U.S. Environmental Protection Agency, along with health professionals, use the term “sick building syndrome” to describe a wide range of physical ailments that arises because of indoor air pollution. Fatigue, dry eyes and frequent headaches are common health problems attributable to indoor air pollution. Exposure to indoor air pollution is more serious today than in the past, thanks to tighter house construction and to the wide variety of chemicals found in everyday products like cleaners, aerosol cans, building materials, fabrics, cigarettes, adhesives and printers. Adding to this hazardous mix are organic irritants like pet dander, dust, and debris from dust mites. Carbon monoxide is a lethal gas that can accumulate indoors when combustion appliances (which burn gas, oil, kerosene or wood) are not properly vented. 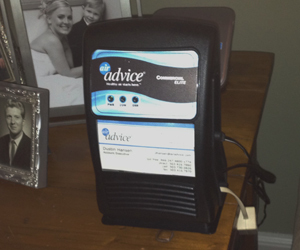 The Air Advice monitor measures indoor pollutants to give you an understanding of your home's air quality problems & potential solutions. Our technician places one or more AirAdvice monitors in your home. Highly calibrated circuitry in the monitor will measure different indoor air quality elements on a continuous basis. The monitor should collect air quality data for at least a 48-hour period. The monitor automatically sends air quality data back to a central computer and data processing center, via a standard phone line. A cellular adaptor can be used if a land line isn’t available. The homeowner receives a complete indoor air quality report, identifying specific concerns and recommending methods for improving indoor air quality. Don’t wait for sick building syndrome to take effect! To test your home's indoor air quality and learn exactly what can be done to make it better, contact Clean Air Act, Inc. today for a free estimate. 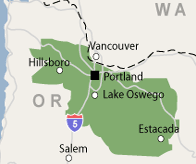 We are proud to provide our radon mitigation services and indoor air quality services to residents of Oregon, including: Portland, Beaverton, Hillsboro, Gresham, Oregon City, Lake Oswego, Woodburn, West Linn, Tualatin, Clackamas and cities nearby!